In Iceland there is much more to see and experience than in any other country you had the pleasure to meet so far. There is no doubt about that. However much time you planned for visiting Iceland even though it will be optimally used, it will not be enough, I can assure you of that as well. Iceland is wild, sturdy and takes some more time for the preparation and awareness to drive there. In order to see most of the stunning points, you should visit Iceland while driving around the route number 1 called Ring Road. That is the longest and best in terms of quality roads in Iceland and has roughly 1400km. On the way you can bounce to a few other points of course. There will always be signs at the road pointing to more and more interesting tourist attractions. The best option which offers you seeing as much as possible and at the same time not getting completely out of money is to travel by a campervan. What you should consider before your departure if you plan to visit Iceland Ring Road by Campervan. I will try to answer this question in this article pointing out the main aspects you should take into account. 1. Try to get a campervan with a heater. Renting a vehicle in Iceland is relatively expensive but during the pick season it still remains the cheapest and the most attractive way to drive Ring Road in Iceland. You should always remember to make your booking in advance as during the high season you may have trouble in finding one on spot. Icelandic weather is unpredictable and doesn’t really matter if that is summer time, during the night it might get a bit chilly. The best you could do here is to make sure your vehicle has a heater installed, preferably a webasto heating system. There are many local companies specializing in car rental, so it is better to spend some time to compare reviews and offers in advance. The largest concentration of them can be found in Keflavik airport, located 45km from the capital and in Reykajvik itself. 2. Make sure you get a proper insurance for your campervan. If we talk about the insurance, we recommend to rent the option of minimal self-risk fee, and if possible without own contribution. You are finally going on vacation, so why bother? 3. Plan your route in advance and check the camping sites. In November 2015, new legislation by the Department of the Enrironment came into life making changes as to where it is possible to camp and spend the night in Iceland. From this date it is illegal to stay overnight outside camping areas. 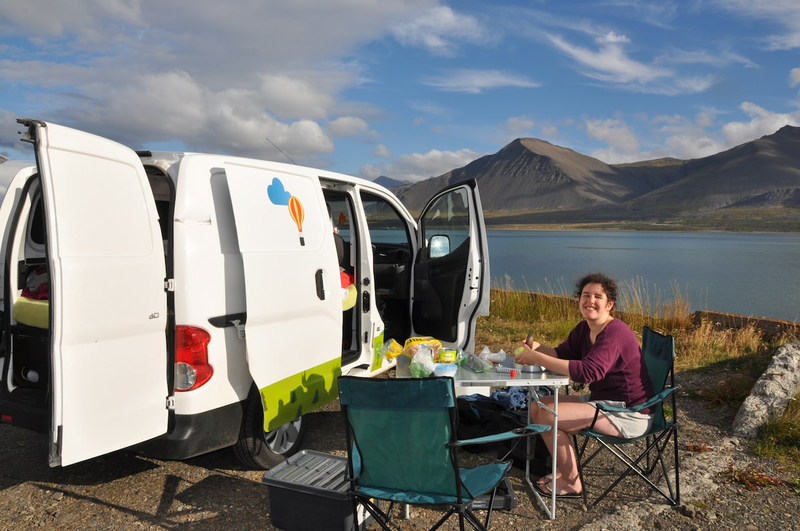 There is no need to book the spot in advance as there is plenty of campsites around Iceland Ring Road. The prices for entrance can vary between 1200 ISK – 1500 ISK per person and depend on the facilities you will be using. 4. Check the roads opening and conditions. 5. Be careful with the sheeps! As we already speak of awareness on the road it is worth mentioning that sheeps can be everywhere and are not necessarily willing to get off the road. If you already meet one on your way, please carefully reduce the speed or even stop for a moment to let them pass to avoid unfortunate incident. I also recommend you here not to go crazy on the road. The fines for speeding are high and the police can come out of the corner at the least expected moment. Before heading off the the road in your Ring Road by campervan adventure it is worth to fill in the fuel tanks and your water tanks. Petrol stations are at least several dozen kilometers apart, so make sure you always have enough fuel. And here we are! We finally got to the most important point in this article on Iceland Ring Road by campervan. This is the time when you should most enjoy and experience the beauty of our country. Get some extra batteries for your cameras and do not forget your chargers so when you are back to the reality you can still revive this experience over and over again! Here you have 7 main tips which will help making Iceland Ring Road by Campervan an amazing experience.